BERLIN (Reuters) – The new leader of Germany’s ruling Christian Democrats, Annegret Kramp-Karrenbauer, bungled her welcome to party members meeting to discuss immigration policy by calling them “Social Democrats” – the name of their coalition partners. Kramp-Karrenbauer took over from Chancellor Angela Merkel as leader of the conservative Christian Democratic Union (CDU) in December, campaigning on a centrist platform that put her closer to the Social Democrats than to the right-wing rivals she defeated. 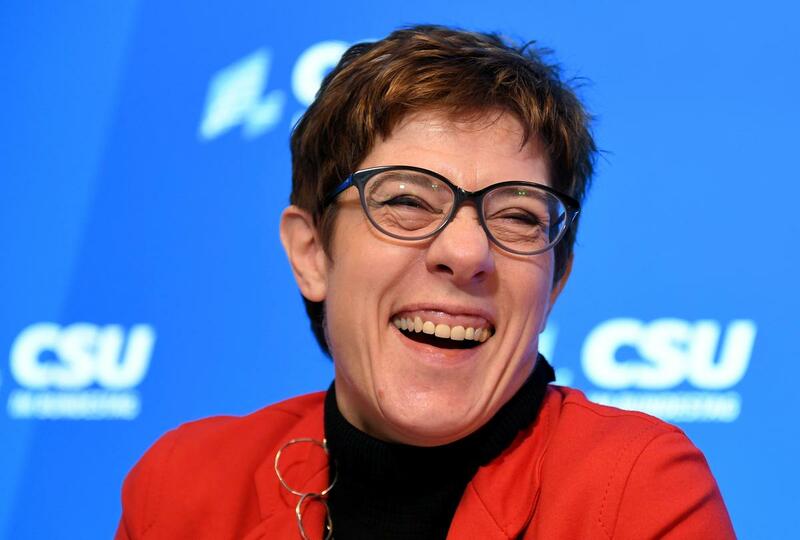 Opening the immigration policy meeting on Sunday, Kramp-Karrenbauer said she was pleased to be joined by members of the CDU’s Bavarian sister party, the Christian Social Union (CSU) – only she confused her own party with the Social Democrats. “I am particularly pleased that we are not only doing this here as Social Democrats tonight, but that we are doing this together with friends from the CSU,” she said to embarrassed laughter from CDU members, including cabinet ministers. She immediately corrected herself and tried to explain her slip as “something to do with the Social Democrats dealing with a big trauma in their party” over reform of the Hartz IV labor market reforms they introduced from 2005. German media jumped on the slip-up – the tabloid Bild called it an “embarrassing mishap” – and the SPD poked fun at Kramp-Karrenbauer, dubbed AKK after her initials, by advising her on the Social Democrats’ standard greeting to each other. The conservative alliance of CDU and CSU only teamed up with the SPD to renew their “grand coalition” last year after their talks with two smaller parties on forming an alliance collapsed. The CDU meets again on Monday to discuss how to avoid a repeat of the 2015 refugee crisis that saw more than 1 million asylum seekers flood into Germany after Merkel decided to leave open the country’s borders. They are meeting without Merkel.